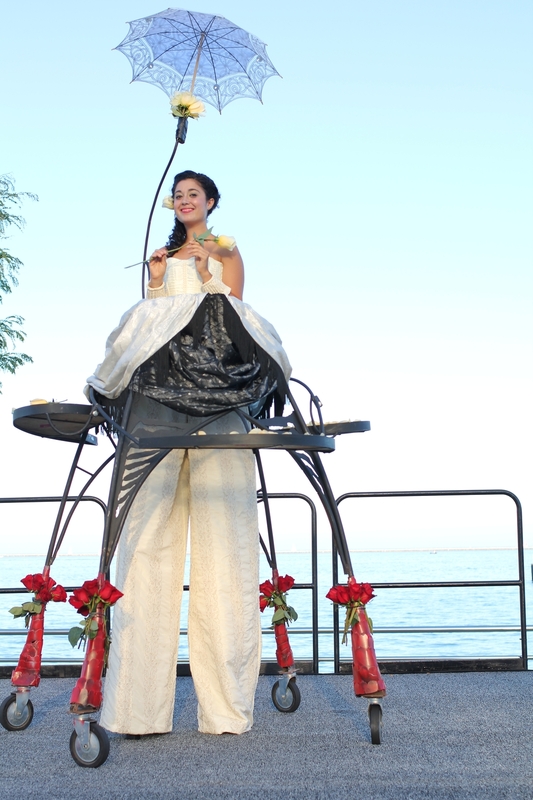 NewMoon is proud to open NewMoon Chicago: Chicago's foremost provider of imaginative, spectacular and incredible event entertainment and interactive art. The artistic food services and innovative spectacles are fun and cutting-edge, sure to be loved by all ages. Standing a towering 10’ tall, New Moon’s elegant red or white Stilted Server wears a skirt made of hand-sculpted steel. Beautiful steel trays are fashioned onto each skirt and hold appetizers, desserts or small promotional items. 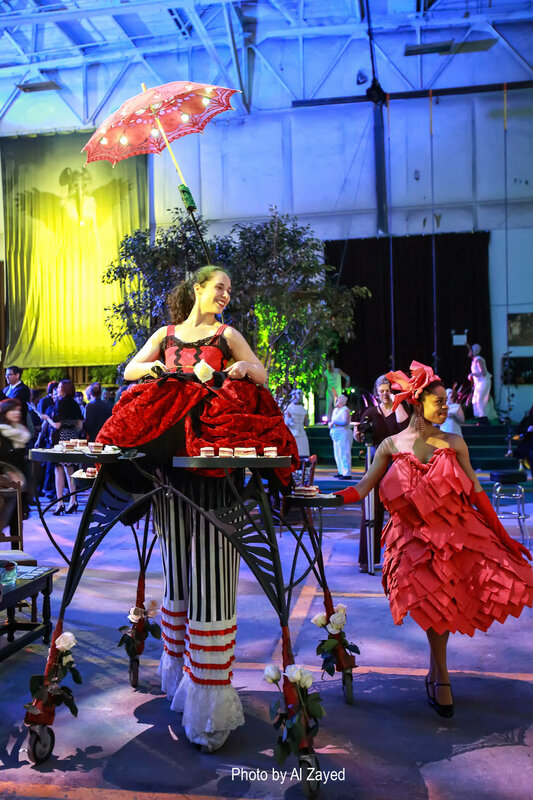 These living works of art, complete with delicate illuminated parasols, roam through the space and are an exciting presence in any event room. Up to two available.